With the clocks changing last weekend and the autumn nights drawing in, now seemed a good time to describe a technique for balancing light trails, ambient light and flash to create some eye catching action shots. Balancing three very different light sources in one image might sound like a near impossible task, with many variables to juggle. In reality though, with a simple, methodical approach itʼs possible to control the brightness of different parts of the scene independently for some great results. The trickʼs knowing the right order in which to make the decisions and with a little practice it all becomes very intuitive. One of the best times to try this technique is at dusk, when the ambient light has dropped to levels which will give you exposures of a few seconds. 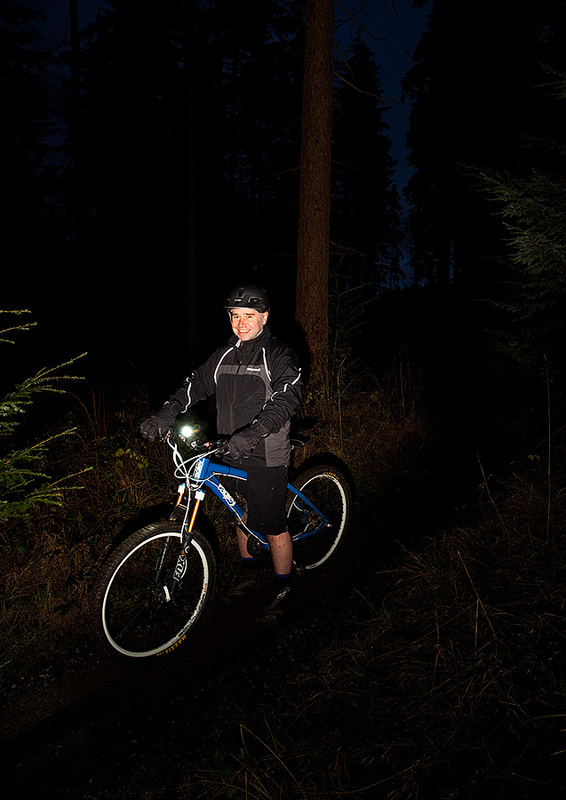 These conditions give you the maximum opportunity for balancing the ambient light with the trails and the flash, while still allowing long enough exposures for decent light trails. Work out a first cut composition first, considering the path the lights will be taking. You might find it easier to do this in advance in good light. As the dusk light levels fade, put the camera on your tripod, set the camera to bulb mode and choose a low ISO setting (the shots here are all ISO 100). Switch your flash off for the moment. It helps to set focus to manual now too. We’ll fine tune focus later but for the moment, focus somewhere in the foreground. Use aperture only to control light trail brightness. 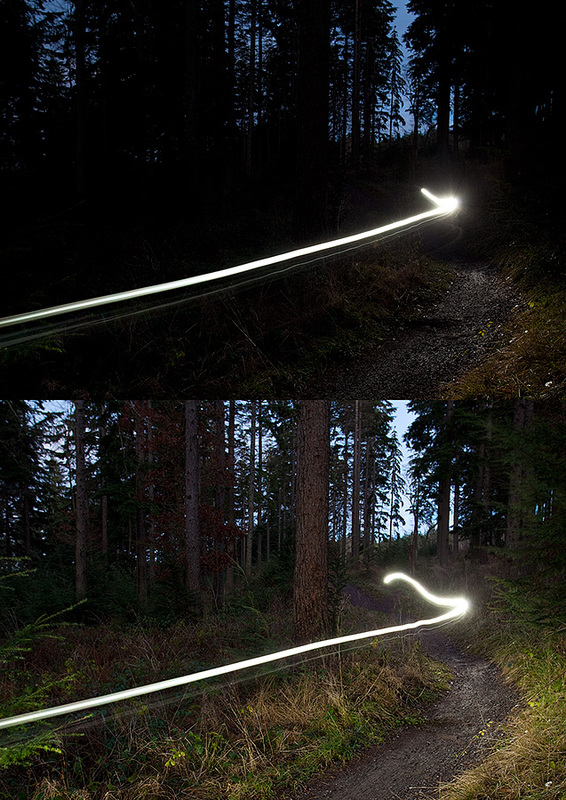 Because the light creating the trails is moving, your shutter speed wonʼt affect the brightness of the trails (only their length). 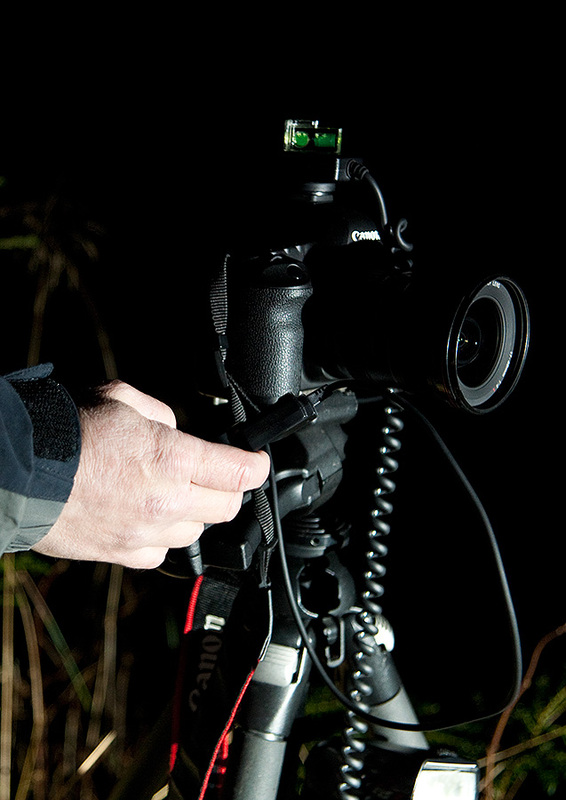 Adjust the aperture and shoot a few test shots until the trails have a brightness youʼre happy with. Using bulb mode will help you time the shots as your subject moves through the frame. The top image to the right is using an aperture of f/16, which created too dim a light trail. The lower image is using f/5.6 which is clearly much better, producing a nice, strong trail. Now use exposure time for the background brightness. Still in bulb mode and with your aperture and ISO fixed, try out different exposure times to work out what gives the best results. 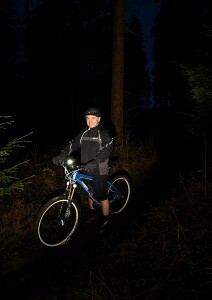 Youʼll want to keep the background underexposed by a couple of stops or so in order for the light trails to stand out. 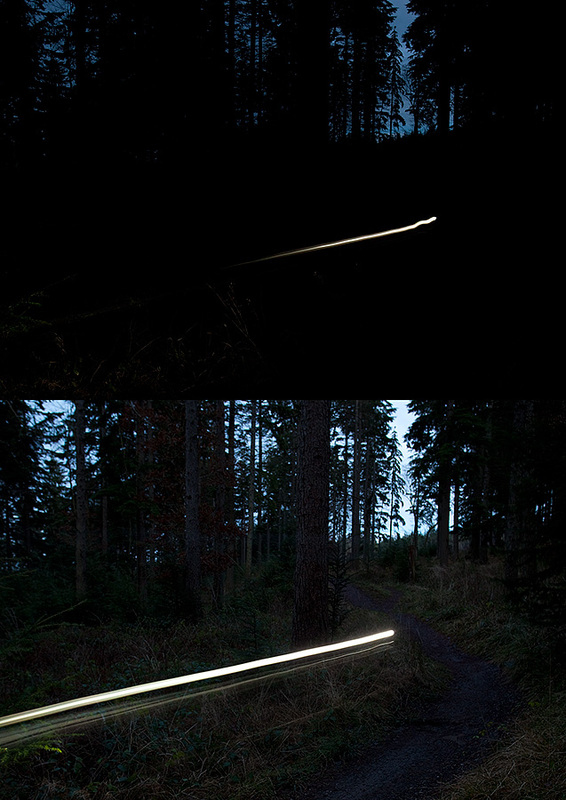 The images to the right show the difference between a 5s exposure time (top) and a 15s exposure (bottom). You can also see here that the light trail is the same brightness in each, so you can fine tune your background brightness independently of the brightness of the light trail. 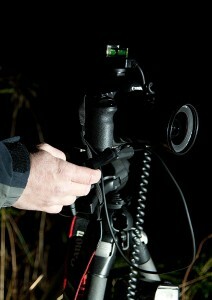 Finally, leave all your other settings alone and switch on your flash. Youʼll need to put it into ʻsecond curtain syncʼ mode so that it fires at the end of the exposure, not at the start. Get your subject to stand where theyʼll be at the end of the exposure (note this position for later) and check the flash exposure. Leaving the flash on auto usually works well at this point but add some exposure compensation if you need to. Now’s a good time to fine tune focus too. Leave focus on manual and focus on the subject, where they’ll be at the end of the shot when the flash fires. Time for the final shot. 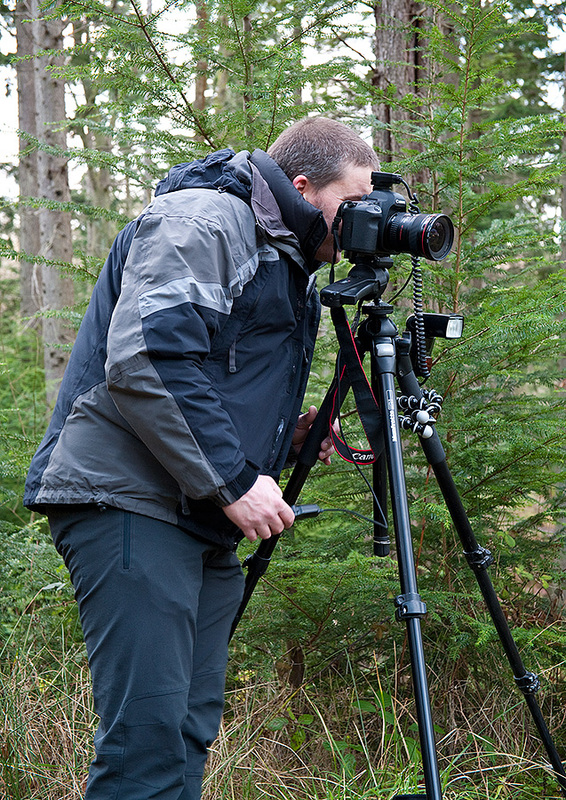 Grab the remote release or get your finger on the shutter button and open the shutter when the subject is roughly far enough away to give you the exposure time you chose in step 3. Because your background is deliberately underexposed, youʼll have a bit of room for error on when to start. Now hold the shutter open until the subject reaches the final position and then let go. Youʼll have to judge this from your test shots because you canʼt see through the viewfinder while the shot is being taken but a couple of test runs are usually enough. 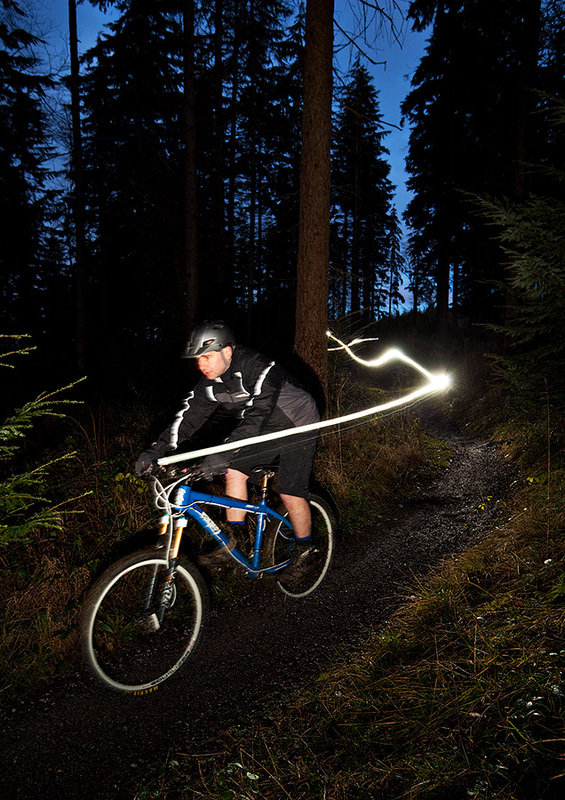 The flash will fire just as the shutter closes, leaving trails stretching off into the distance. In the final shot here, you can see how all the elements of the light trail brightness, background exposure and flash come together, with the three light sources each fine tuned independently of each other. I’ve kept the lighting fairly simple here but it’s definitely possible to get more creative, for instance using coloured gels or multiple flash units. Once you’ve mastered the basics, go ahead and experiment.